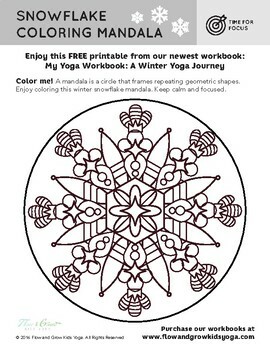 Here is a free coloring page from inside our first hard-copy workbook – a mandala! Mandalas provide a way to relax and find focus. Enjoy our free printable and check out our workbook and other products here on Teachers Pay Teachers or on our website.